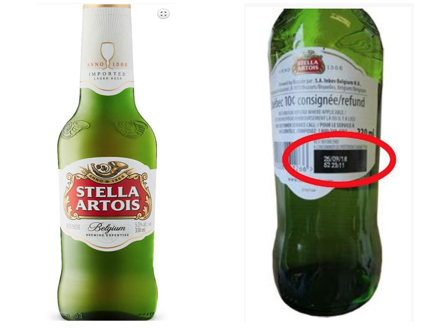 WINNIPEG, MB - Check your fridge for select Stella Artois brand Beer, it's being recalled for safety reasons. Labatt Brewing Company said it's recalling Stella Artois brand Beer from the marketplace due to possible presence of glass particles. Health Canada says people should not consume the recalled products described below. It's important to note that only Stella Artois brand Beer sold in glass bottles is affected by this recall.